VIENNA–Last night, Houshang Asadi, Iranian journalist and author of the critcally-acclaimed memoir, Letters to My Torturer, was awarded the 2011 International Human Rights Award in a ceremony in Vienna’s Town Hall. The international award, part of an annual Book Gala Night on which Austria celebrates and honors the most acclaimed and popular books of the year, was created by the book and media publishing industry, in cooperation with the federal Ministry of Education, Arts and Culture, to recognize the importance of human rights. Upon his win, Asadi commented, “I feel very honored that my book has been chosen for this award, given the strong shortlist of titles, but I am especially pleased that this award will help bring the plight of the victims of Iran’s human rights abuses to the attention of the world.” Asadi dedicated his award to Haleh Sahabi, an Iranian human rights campaigner, who collapsed and died Wednesday at her father’s funeral after a scuffle with security forces. 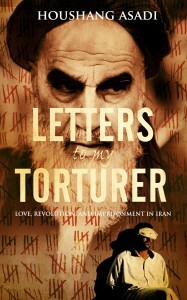 Letters to my Torturer recounts the harrowing story of his kidnap and subsequent imprisonment in one of Tehran’s most infamous prisons. He was kept in solitary confinement for over two years and suffered daily beatings and inhuman degradation. Narrowly escaping execution, the author wrote the book in the form of letters to ‘Brother Hamid,’ his interrogator. The award, only in its second year, saw a powerful list of contenders, including Nothing to Envy by Barbara Demick, Palestinian Walks by Raja Shehadeh, A Long Way Gone: Memoirs of a Boy Soldier by Ishmael Beah, They Fight Like Soldiers, They Die Like Children by Romeo Dallaire, Obama’s Wars by Bob Woodward, and Feast of the Goat by recent Nobel Prize winner Mario Vargas Llosa.